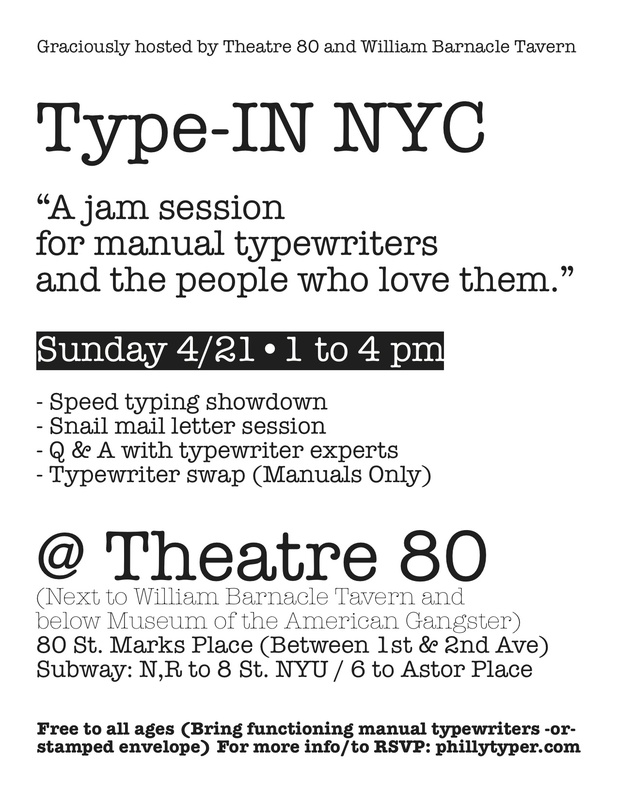 Typewriters were famous for 15 minutes 4 hours yesterday! 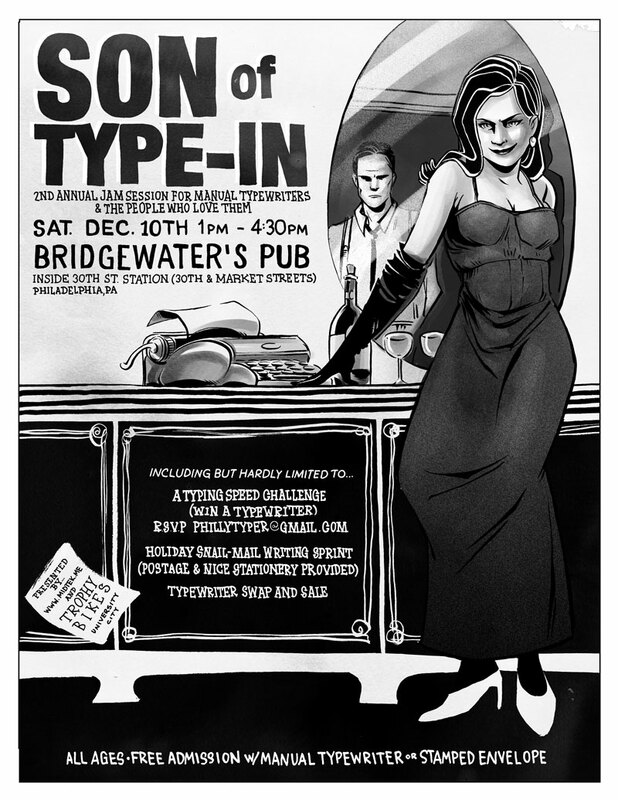 The first Philly Type-IN was scheduled to start at 1 p.m. at Bridgewater’s Pub…. and…. The Philadelphia Inquirer’s Michael Vitez–with their top photographer, Akira Suwa; Liz Spikol from the new Latino-geek monthly, Tek Lado; Peter Crimmins from WHYY, KYW reporter Suzanne Monaghan, two TV camera men from NBC and local news (6, I think) and a tech-site blogger** who interviewed me on a Flip, oh–and Associated Press reporter Ron Todt. Knew I should have made a PowerPoint! 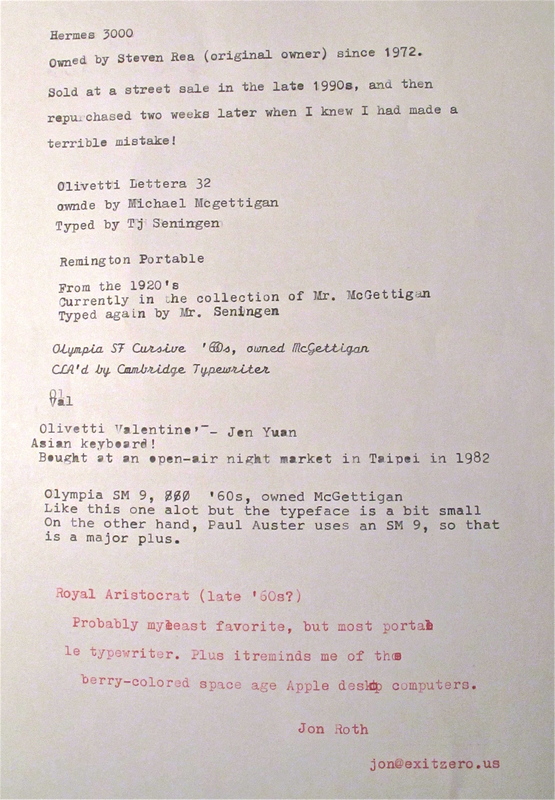 So in between the art of typewriter arranging, had to try and come up with varied, yet coherent quotes to all sorts of variations on this question: why typewriters? and why now, in 2010? Major style points to Inky reporter Michael Vitez–he commandeered my Olympia SM9 and banged out the first draft of his story on the spot. 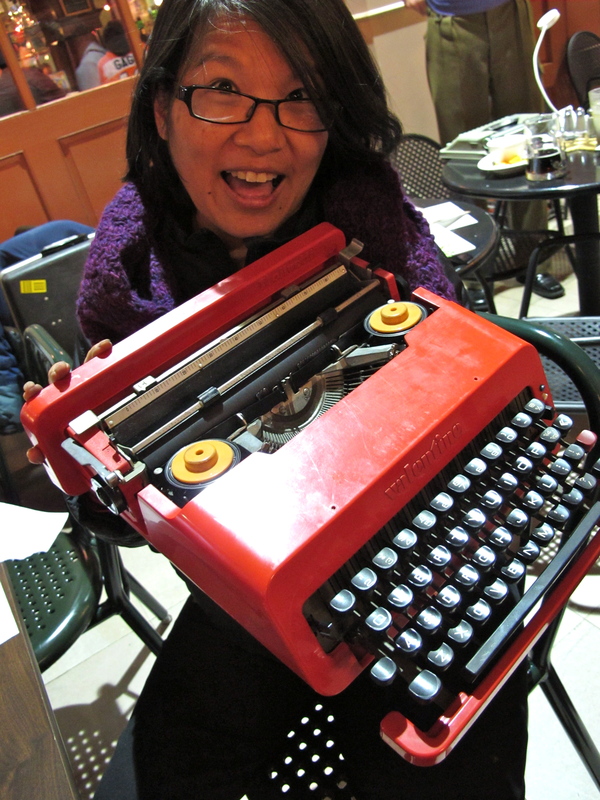 Er, wish he hadn’t overheard me saying, “But what a body…” about an Olivetti Valentine typewriter… but they are a cool design, no bones about it, and I can’t really blame Jenn Yuan for not selling it to me! BTW –if you see any print stories picked up in other papers, can you let me know? 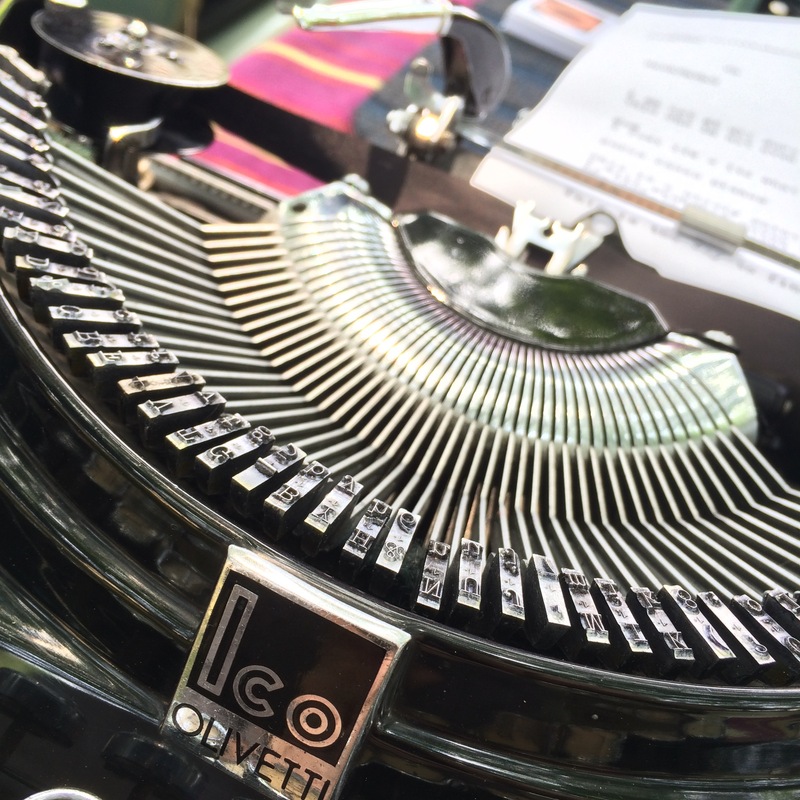 Serious thanks to young Matt Cidoni, who trekked down from central N.J. (60 miles) with four typewriters and was put straight to work–typing up the guest list (now missing FOUND! ), matching people with typewriters, popping in ribbons, and giving great quote to a stack of reporters like a pro. Matt also schooled the assembled multitude in speed typing–he finished ahead of Carey Bergsma with 55 WPM in the Typing Competition. He went back to NJ with a nice Hermes Rocket from the 1950s–for which he swapped me a Royal Multi-Touch with glass keys and a dangerously mint paint job. We both think we got over, heh. Big surprise–Philadelphia’s dean of synth/sound design, Charles Cohen, showed up with a Hermes 3000 and grabbed third place. Also a great surprise– typewriter repairman Michael Ardito and his brother Robert trekked all the way down from Long Island. 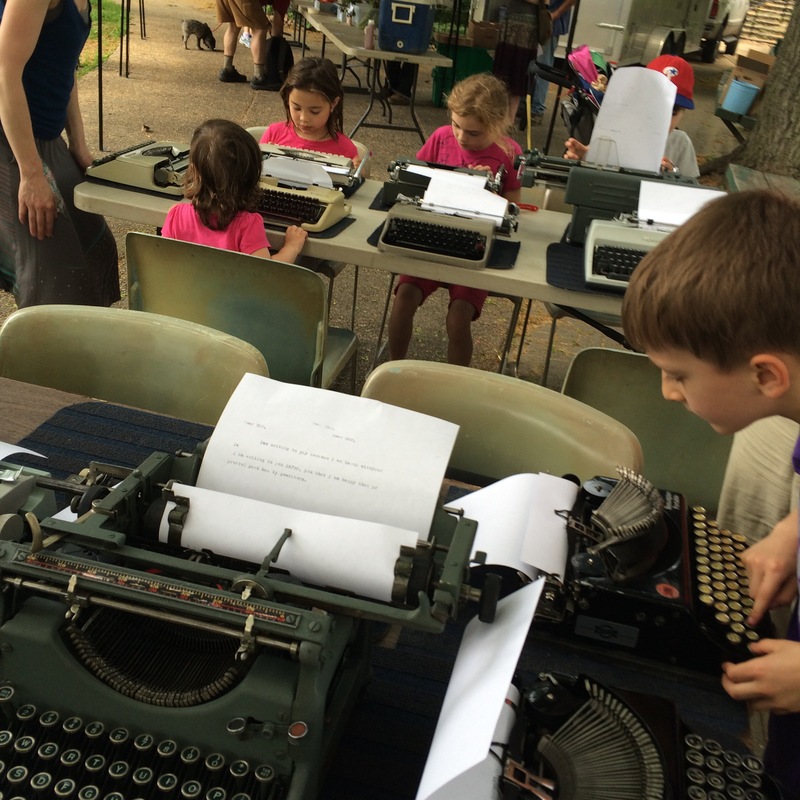 They had their hands full from the moment they arrived–checking out a variety of typers. 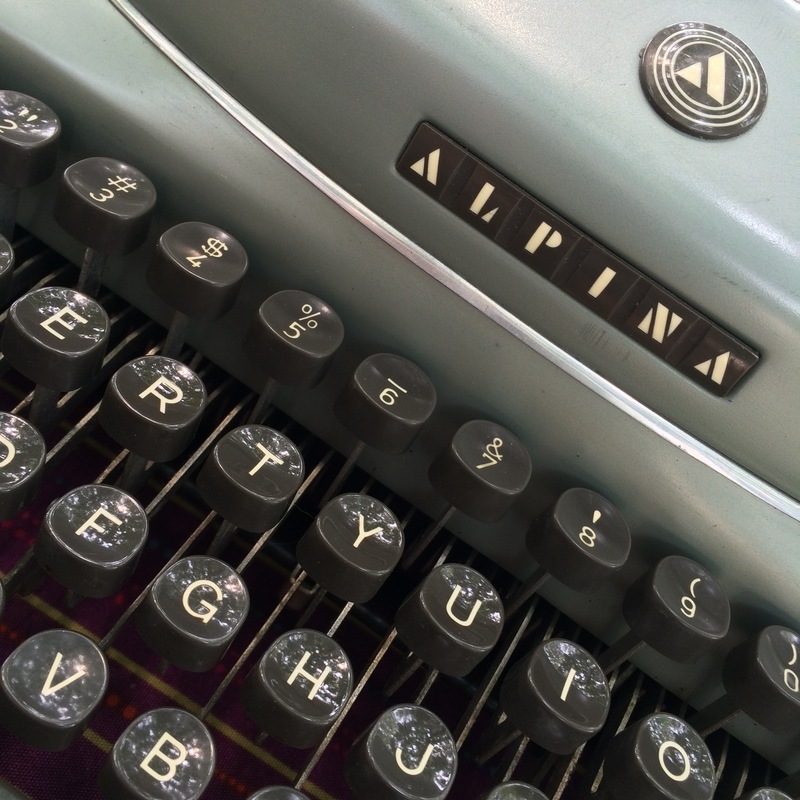 Sadly, they confirmed that my mint Olivetti Lettera 32 needs a new mainspring. So now for a parts search or buying a more beat up L-32 to salvage a mainspring from. But seriously, thanks guys– and note that Mr. Ardito can be reached at Hometown Business Machines–718.982.6876. 1) did you find a list of names and emails in your typewriter or lying about? I think we left it in someone’s typer. If you took any photos videos, could you bounce us some or let us know where to find them online? Don’t worry–found it! 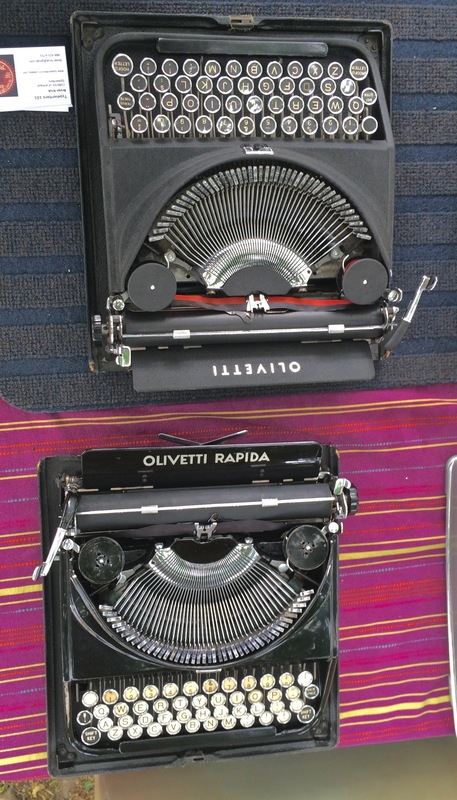 2) The word is that Brooklyn Writing Machines is planning their own Type-IN at the Brooklyn Flea this spring. I hope to take part and will post more here. 3) Thanks so much for coming out and taking part in an experiment which felt like a success. Please post to this site if you feel like it, and we look forward to another Type-IN in 2011–quite possibly outdoors. 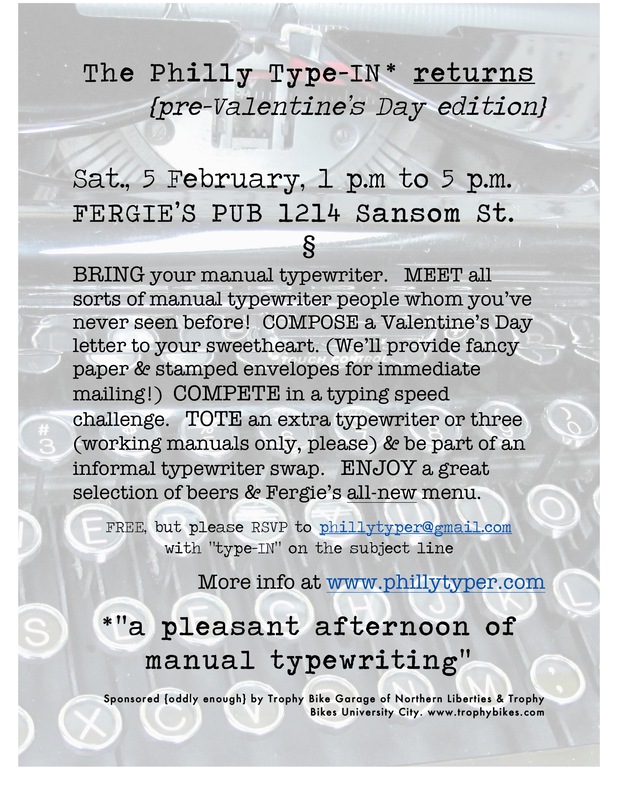 In the meantime, we may just have some smaller Type-OUTS, where we just show up at a (willing and forewarned) cafe or pub to do a bit of collegial clicking. 4) As noted elsewhere on this site–I am struggling whether to make a New Year’s Resolution to be a DTer in 2011. A Daily Typer, that is. If anyone would like to take that pledge, I may post a list and create a subgroup on this blog to keep the pressure on to Commit Daily Typing. cheers and here’s a to 2011 filled with courier, elite, pica and a bit of cursive!